Edit: I swapped the base game out for the expansion to make it easier to differentiate in the want lists. 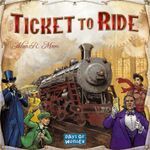 Ticket to Ride is the 2010 printing of the game, with the score track that goes up to 100. 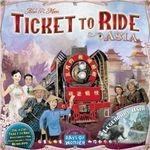 All up is Ticket to Ride, Ticket to Ride: USA 1910 and map collections volume 1 and 2. Cards for original game and 1910 are sleeved. 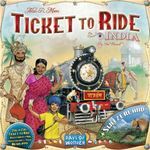 Cards for the two expansions are not sleeved but in very good condition. Bottom of the main box has a couple of creases on it, otherwise all boxes and components in very good condition.